The best thing about long titles for WordPress posts is that when you want to refer back to your content it is easy to find it on the internet, wherever you are. Firstly, my inspiration of the week. Wow, I have to share this! What a find! “Motherhood has been a minefield for feminism since the inception of the women’s movement. We have fought for reproductive freedom, we have pushed for economic equality, we have called for universal childcare and we have worked towards greater success in the ‘public sphere’. However, we remain faced with one problem. There remain a sizeable proportion of mothers who actually want to care for their families. Not all mothers want to be liberated from mothering their children. Those who take time out of the workforce are penalised financially; and those who return to employment against their wishes face strain of a double shift. We refuse to see that what mothers do in reproducing the human race and caring for vulnerable, dependent children is important and necessary work. Indeed, ‘dependence’ has become a dirty word, rather than acknowledged as an intrinsic part of the human condition (1). Having children is not a lifestyle choice akin to keeping lizards: it is socially imperative to produce and raise the next generation (2). And so good to see it used on the cover of “Recovery Of Hope” ! Here is the Well Spring painting, (the first one), which I thought would be the only one. However the image of water spurting upwards from the ground below seems to be a reoccurring one for me! Well Spring Two has a light, flying kind of feeling going on, rather than a resounding warm light, but I quite like it. I have applied several materials to it, as you can see. It’s not finished yet… I have put it to rest for a while, as it needed some space. And so did I! As usual, I have a lot of paintings in progress, and have put them to rest for the next few weeks, avoiding the temptation to start working away at them. I have far too much sorting out of stuff, household tasks, and organisational things to be doing at the moment. I used to see this as a curse sometimes, but I am learning it can be a blessing. Forced separation from your work when you are an artist can give you much needed perspective. The idea that one should be working away with the same intensity all of the time is very unnatural and probably not a very healthy thing to do. I always find that plenty of other things, often creative, fall into place and come into being when I stop working (at least in theory!) So, even when taking a conscious break in a series of paintings, it never turns out to be a break, or in any way a ceasing of creative activity! “In searching for an image to illustrate this talk on artists and families – children, or other dependants – two problems seemed to crop up. There are very few artists known particularly for a commitment to family, few who foreground these responsibilities in their career; it can be very challenging for artists with families to continue to make art. This talk considers families as a problem for the art world, not as a problem for artists. On a local, mundane level, the art world at best ignores and at worst actively discourages family life. The predominant social and professional network of the art world – the evening gallery opening – occurs at the time when young children are being put to bed, effectively barring artist-parents. If the first three years after graduation are vital when chasing an artists career, the first few years after the birth of a child are just as, if not more, difficult. How much of this is a general issue in society and culture? With developments in paternal leave being rolled back under the current government (and anyway only open to employees, not the freelance workers who make up the majority of ‘new’ jobs in the creative industries), cuts to tax credits, rising in-work poverty, stagnating freelance incomes and a housing market that leaves behind a majority of citizens, what makes artists a special case in this? And how can we help change the art world to combat this inequality? Many other artist opportunities – residencies, exhibitions and publications – require long periods either of physical absence from home or intense working periods, requiring a flexibility that can be hard to combine with the regular timetable and commitment that younger children need. Recent interviews with artists by Artquest have anecdotally found that some artists consider parenthood as incompatible with an artistic career – leaving a choice to either maintain a career or raise a family. Other artists embrace family life as not only compatible with, but a celebrated part of, their practice. The Institute for the Art and Practice of Dissent at Home, begun in 2008 and speakers at our For the Love if It conference in 2013, is a family of activists who, ‘as a family, have decided to be naughty.’ Part of their monthly budget is given over to artist sleepover-residencies, with the whole family being involved in this artistic practice. Work and art become a way to live, and a way to rear children, rather than an add-on to be combatted or forced to work. There are wider societal myths of what an artist is that need to be challenged as well. Typically considered to be male, single and white, representation and equality within the arts continues to be weak despite multiple high-profile publicly funded projects. We, as a society, seem to want our artists to still be a little mad and bad, uncomplicated and entertaining, in lieu of their work being of greater interest. You can listen to it if you follow the link! I am worried about my acrylic paint freezing in the Studio Tent, and have been out to put more insulation over them. 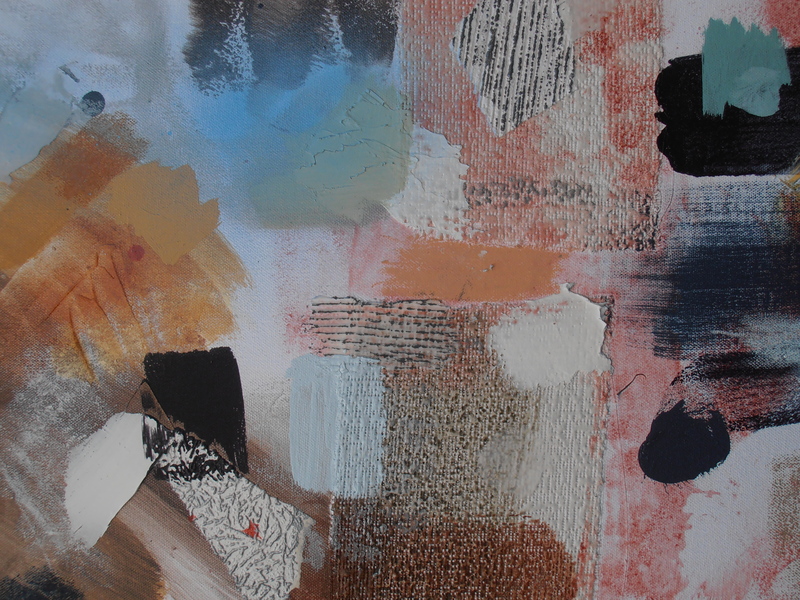 The whole process of putting the paints away at the end of last year has been helpful to me. What was not so helpful, towards the end of last year, was to find that the wind had dismantled the extension to the tent which I put up in the Summer. It had crept underneath the tarpaulin and LIFTED OFF the two horizontal bars.. I am so surprised.. they were jammed in! I was relieved to find that the framework was not damaged….When I went out and found the tent lopsided, my heart missed a beat for a moment. The wind is so strong! My husband was away, but fortunately I am quite strong and managed to re assemble it with a bit of effort. I have now tied down the horizontals, all of them, on both the original and extension tent, with thick nylon tights. Thick nylon tights are rather good for tying things. Unwanted items from a teenage daughter do come in handy. I kept them by feeling sure they would be put to good use, as I don’t like to waste things. Thankfully they were! And then we had Storm Imogen didn’t we, which brought some very strong winds across southern parts as it moved eastwards over the UK on Monday 8 February. I was ready for her! This earlier painting of mine, Deluge, pretty much sums the experience up! It was raining and windy, when the Studio Tent dismantled itself, with the help of the wind!!! I still have “Deluge” and it’s still available to buy. I feel my paintings are like children who need to leave home. They are welcome to stay but there comes a point when I would like them to find themselves an owner who can give them an adult life, away from the womb of the artist who created them. It’s nice to look back at this painting and still think, wow, yes, I got that, and it still looks living and alive, it’s still got it’s punch and it was successful. There is nothing like the test of time. I sell my paintings for around £250 – £400 each. It varies according to size. I only sell about two a year. It keeps me in art materials! Sometimes it helps pay for further training. The paintings normally hang around for a while and then their owner finds them, and hopefully decides to buy them. I’m not interested in generating business or profit. I simply need to continue my work, and in order to do this I need to sell them from time to time. Sometimes people are surprised at the price of a painting (either more or less than they expect!) but it’s a great investment of time and effort and skill for me, and also, (I think) a great investment for the person who ends up with one of my paintings. If you love something and it stays with you, it will refresh and inspire you day in and day out. I hope that is why collectors buy my work. This seems to be the case at the moment. I have a few collectors, and I have always been deeply encouraged by their response to my work. Very pleased that my work has been selected for this exhibition which starts on the 8th March 2016 and runs for five months! “Building Bridges, the Female Perspective” 8th March – Aug 2016 organised by Southwark Arts Forum & Tower Bridge Art at the Bridge #7. Tower Bridge Victorian Engine Rooms, Tower Bridge Road London SE1 2UP. “Plan your visit to truly enjoy Tower Bridge Exhibition. Discover the range of tours available, what’s on when you visit and the magic of a bridge lift when you step inside the most famous bridge in the world. Tower Bridge Exhibition is closed 24 – 26 December and open from 10:00 on 1 January. You can purchase your tickets in advance via our secure online booking page or at the Tower Bridge Exhibition ticket office. It’s not far from London Bridge tube and rail station. The main entrance and ticket office for Tower Bridge Exhibition is located at the North West Tower of the Bridge. The entrance to the Victorian Engine Rooms is located on the south side of the Bridge at river level on Shad Thames. Follow the painted blue line on the ground to connect the two parts of the Exhibition. Here’s some information about the work I have on show as part of the exhibition. I cannot wait to see the whole exhibition soon! Drawn together being part of this exhibition is certainly one of the highlights of this year for me! This is a free to see exhibition, with a variety of work from many local artists. I am sure it will be a delight! “The Art of Caring” Exhibition at The Upper Circle Gallery, The Rose Theatre, Kingston-upon-Thames, from the 12th to 24th May 2016. There will be a taster exhibition for this years Kingston Artists Open Studios, not sure on the details of that as yet. If you are interested in coming along to the Kingston Artists Open Studios, to see my work and the work of many other talented and lovely Kingston Artists, then contact me via my contact form on my website and I will put you on my mailing list. As I was reading this, my painting “Where Earth and Sky Meet” came to mind, and I have been thinking about this recently and asking myself what the painting meant to me. What a painting “means” is of course a changing and evolving matter, and depends on the individual person to a very large degree. As a painter of paintings, I do find, as the painting is the produce of my own mind, heart and hands, that there is an intention in the painting which is, for me, at least, with my own technique and process, largely subconscious at the time of painting. I very rarely set out on my painting pilgrimages with a very focused idea of what I am doing. (Though it does sometimes happen). And if it starts focused, then it soon gets lost and looses its way! This is the way I like it and the way I love to paint. It is not the conventional route to achievement, for sure. But it is an opening and a breathing. And as the painting opens up, it does, at some point, begin to develop focus, and narrows down sometimes quite quickly, and sometimes very slowly, into a state of resolution where I sense there is some point of it! Then after reflection and contemplation, which are also often part of the journey, I can feel a settling inside of myself, and know instinctively if I have achieved what I wanted, even though I didn’t quite understand with my head what that was. I feel glad to have found such apt words to relate to the painting, and words from another’s mouth are more fascinating than one’s own. If the truth be known, I have sold precisely three items on Redbubble in the last approximately seven years, and all of them under £10! However, I live in hope. I had hoped that a little money from sales might help me with the cost of materials, but it simply hasn’t happened! That said, it is fun to apply designs and artwork to objects, and though I hardly sell any of it, I cannot resist the allure of experimenting in this way. It’ a bit of a kick to see your work on objects, even if those objects don’t actually exist in reality! Redbubble is a print-on-demand site which is great for artists like me who like to offer their work in this way but no way have the financial resources to start printing out things themselves. Some fine artists don’t wish to have their work applied to products in this way, but my own view is that if an image is suitable for use in this way, making it available for use on products doesn’t compromise the integrity of it at all; it simply provides another way of sharing your work with others. As long as my work is not used illegally and my copyright infringed, then I am fine with it. Think on how many Matisse products, or Picasso, or anything else, you might see in various shops. Do they mind? !!!! Well, dead and buried, they don’t! and would they? Who knows. No one really cares. 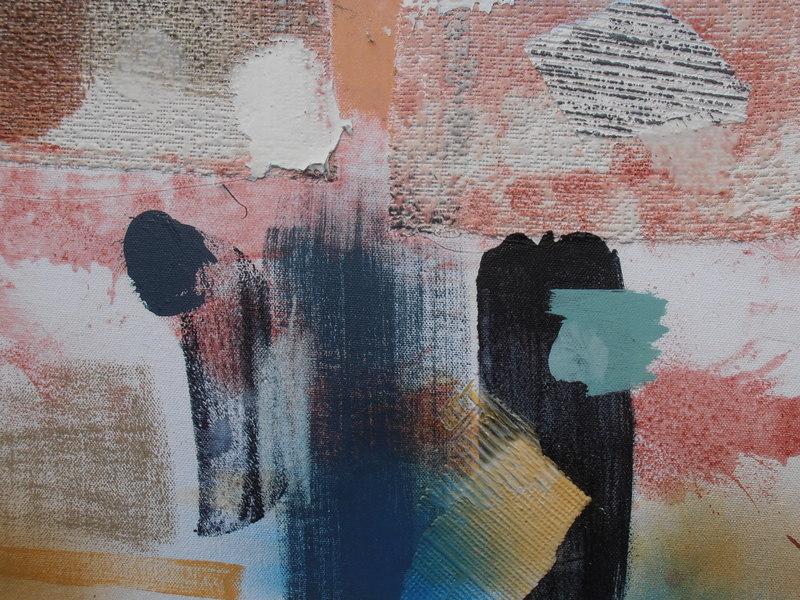 I also plan to put many of my painting-print experiments on my pinterest boards. This way I can organise them easily and use them for reference if need be without needing to locate them on my computer. Thinking about painting-print experiments, here are some of my latest “Light Play” is the series. “Light Play” is based on my painting “Piñata Colour Play”, which was previously (before further working on) “Yellow Path”. I didn’t like Yellow Path after a while and changed it for the Kingston Anagrams Exhibition. I then changed my mind about which way up I wanted it to be hung, and so re-named it. I’m settled now! Peace at last. The painting prints which came from it are beautifully colourful. I half had it in my mind that I would experiment with additional layering through digital means and felt it could be rewarding. I have let my enjoyment of colour lead the way in this painting, and in the painting-prints which follow. A colour hit at this time of year is always welcome! I have a few more of these. The “Multi” ones are very busy, but I like to take things along as far as they will go, just to see what happens. I like Painting Print 5 the best. Working in this way has been a nice change from the building up of textures I have been tending towards of late with my paintings. 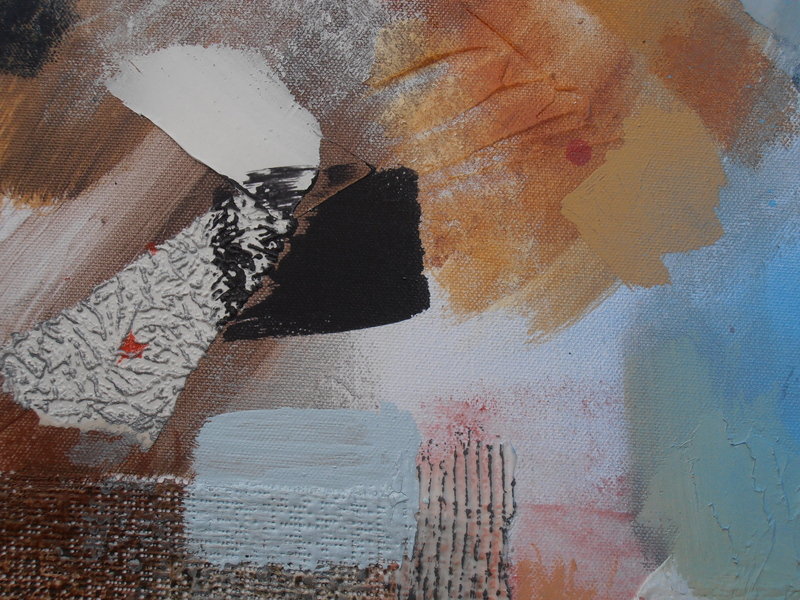 I felt that though I enjoyed collage, the use of textured papers was quite heavy and hard to embed into the painting. By using digital image manipulation software I have been able to apply my torn pieces of paper (on the original painting, you see below) but in a much lighter way. I like the translucency of the layers, which is best when viewed on a screen or projected but still has a fairly delicate touch even when in print. On the original painting I used varnish (after the image below was taken) to bring more translucency to the pieces of paper, and that did bed them in a little more. A bit of a bargain, actually. And bear in mind I get less than £200, 30% less, to be exact. On the other hand, I want my work to go to people who will love it and have room for it. And I don’t have much room here. Don’t want artwork cluttering up the place when it could live in a spacious new home and be much appreciated!